Property 3: New and modern villa right next to the ski lift: Ski-in/ski-out! Property 8: Beautiful villa at just 400 m from the lake of Zell am See. Luxury Villa (2-10 pers) Four seasons beautiful! Property 10: Luxury Villa (2-10 pers) Four seasons beautiful! A very luxurious, detached villa with plenty of privacy. Property 12: A very luxurious, detached villa with plenty of privacy. 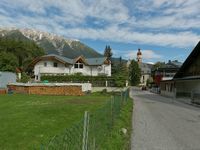 Property 13: Very large detached holiday house a short distance from the Böndlsee. Property 31: Fantastic spacious and luxurious chalet on the Sonnberg in Kichberg in Tyrol.